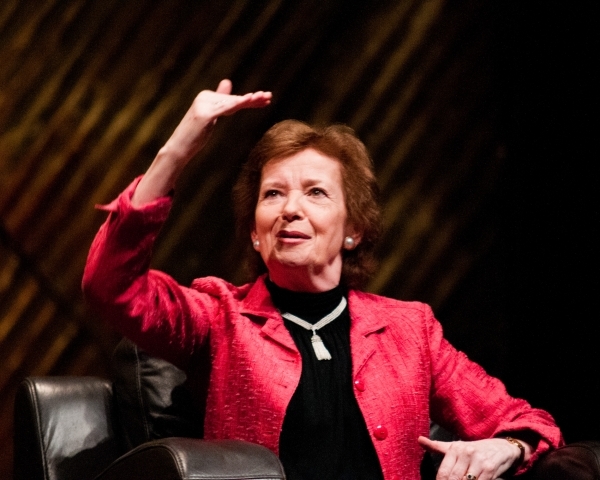 I was speechless after Mary Robinson- and now I’m speechless again, Catherine. This is beautiful. You are a brave, brave woman and wonderful writer of truth and beauty. Thankyou for sharing this with us. Hi Catherine. Sorry to have missed this conversation and thanks for the wonderful report Perhaps one way to share Mary Robinson’s ideas and the work of her foundation on Climate Justice is to get kids to learn form their own place …..You might be interested in this kinvara symposium taking place at end of month……http://www.burrenbeo.com/learning-landscape/apathy-empathy …….it’s all connected…. On another issue I am trying to organise something else for Kinvara for September and hoped to talk to you about it over the next few days. I.will try and track down your phone number if that’s ok…. ‘Thank you Catherine Cronin’ for this wonderful article on Mary Robinson.